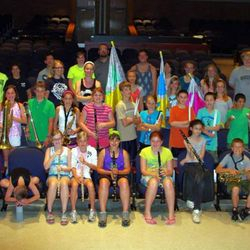 WMB Kidets program is back for 2018! 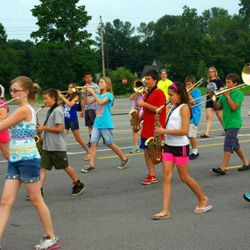 This program had been designed to give students grades 4th – 6th an opportunity to try out marching band as well as another outlet for performance. This group has a very limited practice schedule to give students a general idea without having to make a big commitment. 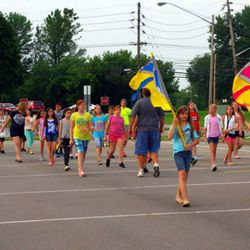 It ends with a performance in a parade. 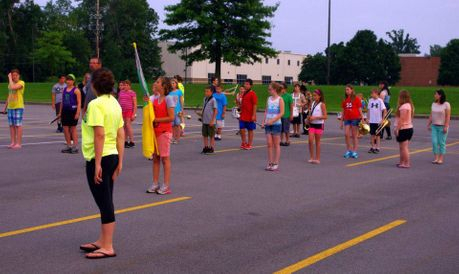 The staff is comprised of staff currently working with the High School band and a group of senior leaders from the High School Marching Band. 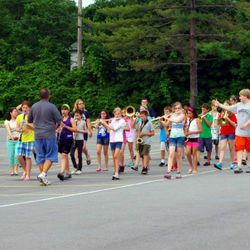 To play a musical instrument in this group, we request the student be currently taking a day music course at school (Chorus/Band/Orchestra). 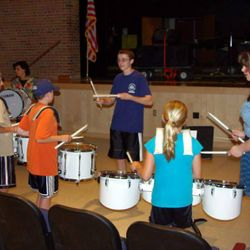 We encourage chorus and orchestra students to learn a percussion instrument when a part of this group. 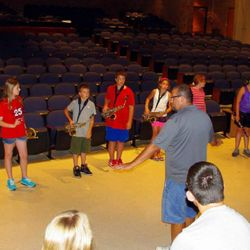 If any student who is enrolled in these courses that receive private lessons on another instrument, we will allow them to play that in the group. 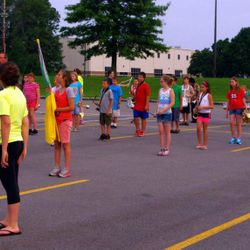 Since there is no Colorguard class at school, this section is open to any student who wishes to participate. Dance students are particularly invited to join. The cost is $35 per student and is due at registration. Parade uniform (t shirt) that the student keep at end of program. Equipment we provide to students. 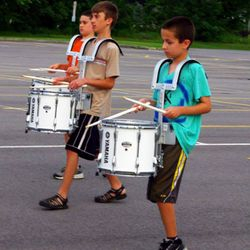 Drums – The Webster Marching Band Boosters purchased drums for this purpose only. 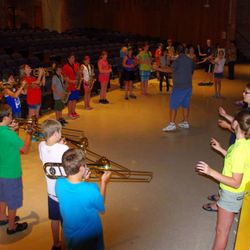 Mellophones - similar to French Horn. 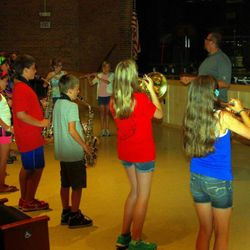 Euphoniums – Instrument similar to a Baritone and a Tuba. 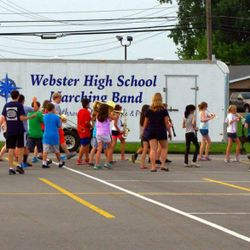 The goal of this program is to encourage growth within the Webster School District Marching Band program, and continued enrollment in the Webster Central Schools Day Music Program.